Thanks to Kerrie and ActiveRain for inspiring me to do this. Jane Peters, from Los Angeles, CA is a dear friend and has managed to capture international attention through her ActiveRain blog. You just never know who's reading your blogs! Jane Peters, Los Angeles REALTOR® appears on local NBC affiliate news. 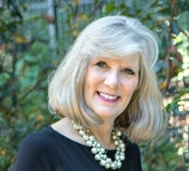 Jane Peters is a Los Angeles real estate agent who specializes in helping absentee owners, out-of-town buyers, and those needing extra assistance with their most personal of transactions. Beginning her real estate career with Keller Williams, Jane is now, and has been for the past 3 years, an independent agent, providing her own brand of service to her clients. This brand is to treat her clients as she would like to be treated and to make sure that all of their needs are covered, with immaculate attention to detail. Jane’s British accent is incredibly appealing as well! I once told Jane that she should use the slogan, “My accent is on quality!” because Jane certainly provides premium level customer service. Rest assured, with Jane, a lock box will never be put on your home. She will be there for every single showing.